Ten years ago you couldn't find two of the greatest American inventions anywhere in Sydney: a decent cheeseburger or a decent hotdog. Then Dan Hong's legendary Lotus Burger paved the way to an all-American obsession in Sydney that lead to our current situation where you can find a classic cheeseburger (and 11 artery-clogging variations) on the menu of every pub with a grill top. Sadly, hotdogs never got the same treatment. You won't find an ode to a New York street dawg with red onions and brown mustard in any of our graffiti-covered American diner tributes. 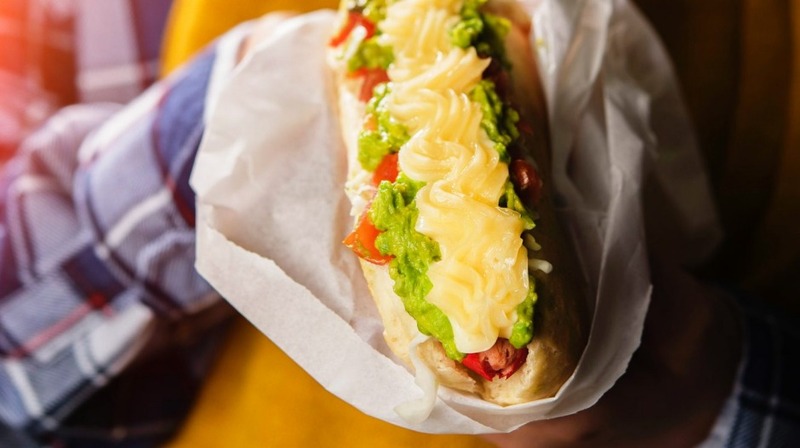 But if you travel out to Fairfield, you will find hotdogs piled high with avocado, sauerkraut and mayonnaise, at Sydney's oldest Chilean restaurant La Paula. The Casanova family have been squeezing mayo on frankfurts since 1984. Back then you would have found the recently arrived Victor and Aglae behind the counter. These days you'll find their daughters Claudia and Daniela. 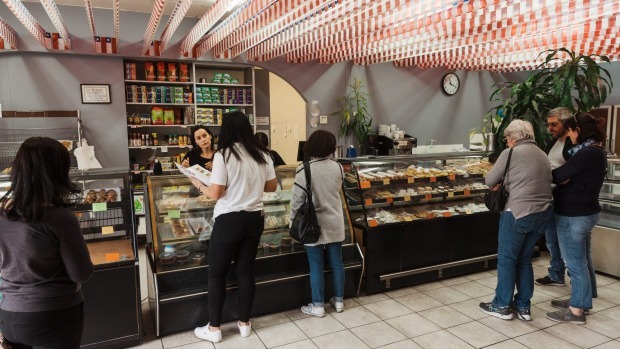 Little has changed inside the restaurant for more than 30 years – each dish Claudia and Daniela serve is made by hand from their parents' recipes – but outside has seen a lot of change, with the once almost exclusively Chilean Fairfield now home to families from all over the world. "Back in the '80s and '90s all the locals were from Chile," Claudia remembers. "I think they've moved to Liverpool, Penrith, Wetherill Park – still kind of local but not really. No Chileans left in Fairfield now." But they still travel to La Paula, one of the few places serving traditional Chilean food in Sydney. Sydney's lack of decent hotdogs means picking up a completo (Chilean-style hotdog) is a must. 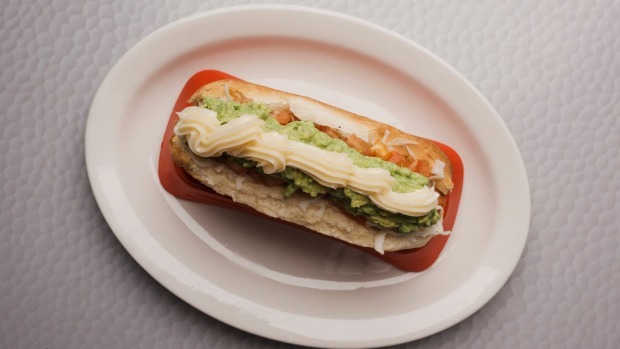 This deluxe dog doesn't disappoint, a pork frankfurt stuffed into a house-baked bun, topped with diced tomato, mashed avocado (palta), sauerkraut and an absurd amount of mayonnaise. If you like your meat a little less cylindrical, their range of sandwiches is legendary. 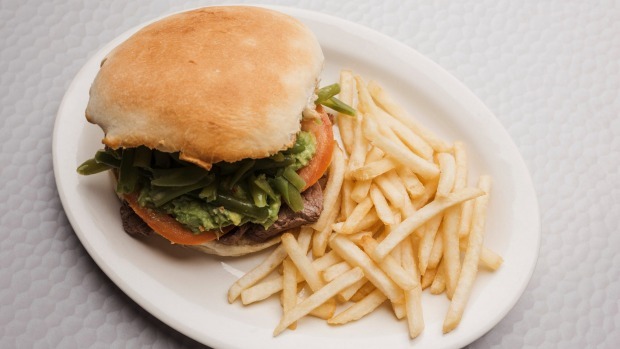 The lomito sliced pork sandwiches are a favourite but my go-to is the chacarero steak sandwich – a soft roll filled with thinly sliced steak, green beans and the winning trio of tomato, avocado and (of course) mayonnaise. Most of that filling will find its way down your sleeve as you try to fit the tower of bread, meat and vegies into your mouth. With a menu mostly unchanged since she was child, what food could Claudia possibly still look forward to eating as often as possible? "Beef empanadas," She tells me. "Traditional, baked. Typical Chilean. I grew up with it. It's pretty much healthy too! You never get sick of it." I never get sick of dessert at La Paula, which is actually the first thing you see in a glass display when you enter the restaurant. 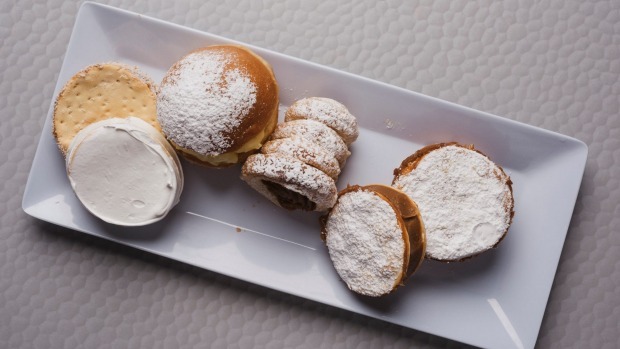 Dozens of different Chilean pastries, some rolled in coconut, some filled with manjar blanco, the South American term for dulce de leche. Her parents are now living back in Santiago, but Claudia and her sister have no plans to leave the restaurant anytime soon. They don't miss their parents' cooking. "We try to match it, it's the same!" Claudia laughs. "We try and give Sydney a bit of Chile." Sydney's classic hotdog spot is the perfect place to visit if you're looking to prevent a hangover. There's a frankfurt somewhere under that pile of grated cheese, and some fiery jalapenos too. If you're looking for a fancy dog, Stitch is the place for you. The classic dog comes with an andouille sausage, or you can spend a few extra bucks for a duck dog.